Rosalie Born, a set on Flickr. Marie and I are thrilled to announce that our daughter, Rosalie came into the world on February 23rd at 11:01 PM. 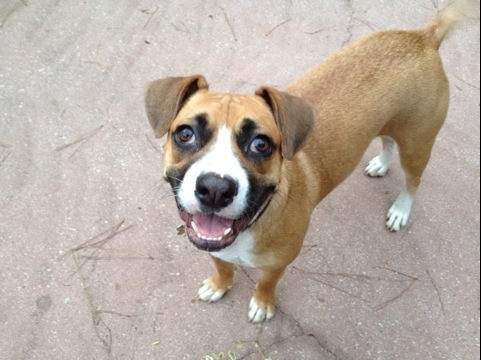 Here are a few photos of our new family and her first days. I think you’ll agree, she’s lovely. A Great Big Beautiful Tomorrow, a photo by Bob Owen on Flickr. You only see it while you’re moving an it’s dark, making it very difficult to photograph. FINALLY got a decent capture thanks to fast glass and a hi ISO. Brake Job, a photo by Bob Owen on Flickr. 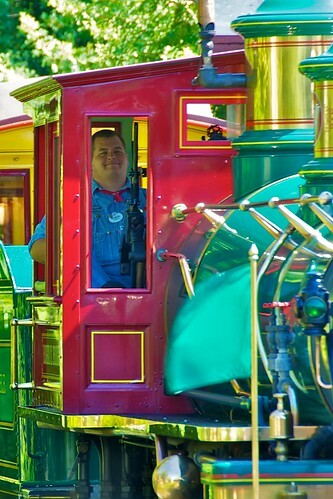 The Roger E. Broggie pulls into the Main Street Station at the Magic Kingdom in Walt Disney World. Just a quick snap of Camille. What Big Ears, a photo by Bob Owen on Flickr. I never buy them, but I always love to see them. 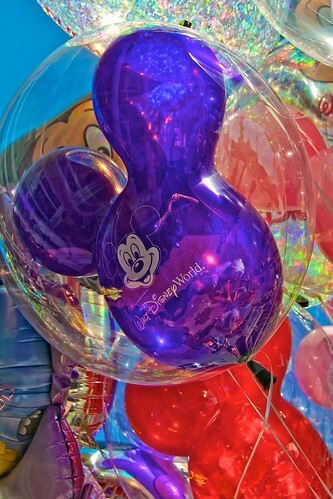 The balloon vendors on Main Street USA are as much a part of the show at the parade that travels the same street. Paradise Pier, a photo by Bob Owen on Flickr. Unedited iPhone image of Paradise Pier at Disney’s California Adventure Park. 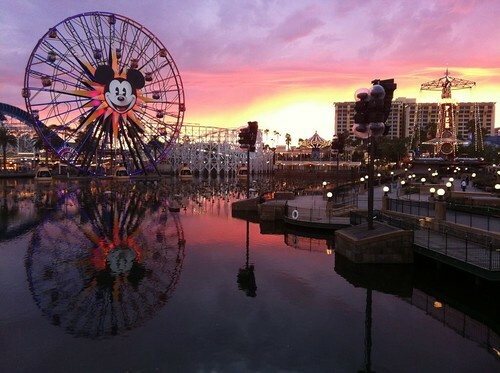 Taken at Sunset on Sept 4th as they were getting set up for the Magical World of Color Show. This was the evening after the Disneyland Half Marathon. Icon, a photo by Bob Owen on Flickr. 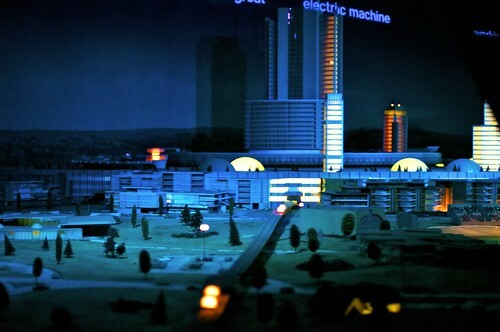 Imagineers called them “visual weenies”; striking pieces of architecture that pull guests towards them deeper into the parks. 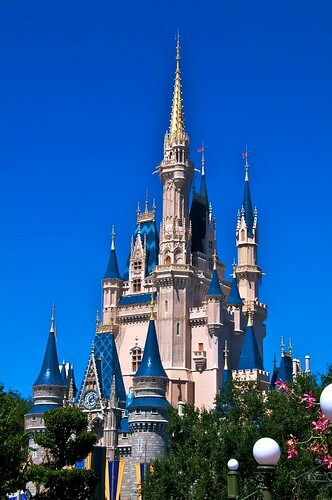 Cinderella’s Castle is, perhaps, the most iconic visual weenie of all time. FINALLY found a decent angle that didn’t have that blasted crane in it! Unusual Flight Mechanics, a photo by Bob Owen on Flickr. Back to basics. I don’t remember anything about, mice, storks, feathers, or big eared elephants when I was learning Aerospace Engineering. 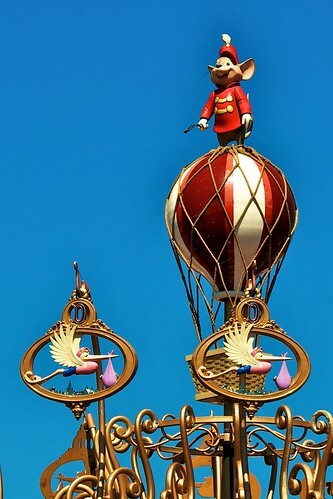 The top of the Dumbo attraction in Fantasyland. Crossroads, a photo by Bob Owen on Flickr. 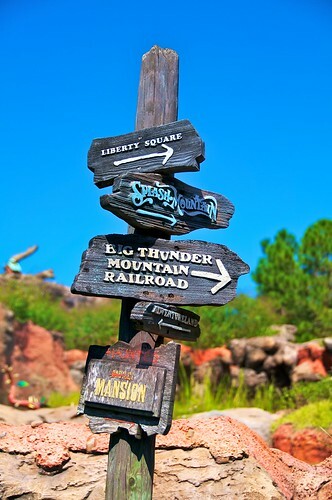 Just before Splash Mountain where Adventureland meets Frontier Land weary travelers are directed on. Starring Donald Duck, a photo by Bob Owen on Flickr. 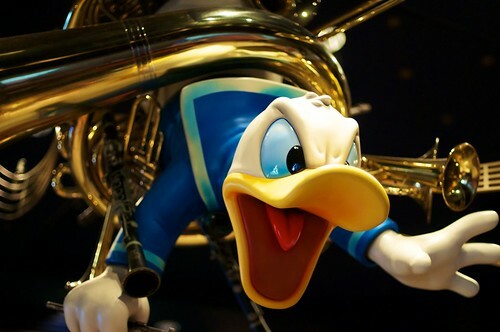 They may call it Mickey’s Philharmagic, but we all know the real star of the show is Donald.